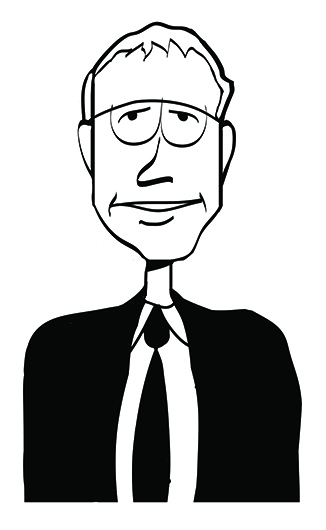 Learn how to be a thought leader from David Zinger’s employee engagement thought leadership. Do you want to be a thought leader? This post outlines a quirky 12 step process to thought leadership. What’s in a name? I have been referred to as a thought leader in employee engagement and was conferred engagement Guru status by the UK’s Engage for Success movement. I never knew that a business and workplace movement in the UK could confer guru status. I believe that if you think you are a thought leader or a guru in all likelihood you are neither of these things. I don’t think I am a thought leader, just a fifty-nine year old guy living on the Canadian prairies in Winnipeg who developed an abiding passion for the various permutations and combinations of engagement in leadership, management, work, and living. Develop a mild to medium obsession with a topic. I admit that I am obsessed with engagement and what it means. I can’t resist reading a book or blog about engagement. I check tweets on engagement about five times a day. I think about engagement all the time. Psychologists suggest we have about two thousand 14-second daydreams each day. A fair number of my daydreams involve engagement. Be willing to go anywhere to learn about your specialty. I have gone from military bases in Winnipeg to distilleries in Manitoba to learn about engagement. I have walked the tunnels of uranium mines in Northern Saskatchewan and spent time scurrying though a platinum smelter in South Africa in search of engagement. I got a real buzz of engagement by using computers over three summers to interact with honeybees in their hives to learn about social engagement. If you want to buzz off for a few moments click on the title of my free eBook: Waggle: 39 Ways to Improve Human Organizations, Work, and Engagement. Thought leaders need to go anywhere to learn from anyone (even another species) about engagement. Your best thoughts always begin with ignorance. Everything I have learned about engagement has come from my ignorance. To me, ignorance simply means not knowing. Stupidity is thinking you know when you don’t. It is okay to be ignorant just don’t be stupid about it. Just because we start with ignorance doesn’t mean that we stay there. It is more important to write than be right. E. M. Forester once wrote, “how do I know what I think until I see what I write.” Writing has proven to be a good way to think. I have written over 2500 blog posts, 3 books, and 10000 tweets. I read to learn but I also write to learn. A thought leader can seldom go wrong by writing. You can think on our own but you are never alone. Thought leadership does not exist in isolation or a vacuum. I founded and host a 6100 member community on employee engagement. I have devoted countless hours over the past 6 years to this community and it has been worth every second. We are now firmly embedded in the era of social thinking supplanting solo thinking. You can never know enough, or retain enough, to stop being a student. I am enthralled by learning and learn from everyone I encounter. I default on being a student. I study rather than read. Currently, I am studying, Employee Engagement in Theory and Practice. I can’t help myself as I make notes and draw little diagrams in the margin, I argue with certain statements and put giant check marks beside other statement, and the white pages of the book are streaked with contrails of yellow highlighter. Build a pyramid so that your thoughts will outlast you. I never intended to build a pyramid but I ended up building a 10 block pyramid of engagement. I am a visual thinker and created images for the key elements of engagement. Before I knew it the blocks took the shape of a pyramid. 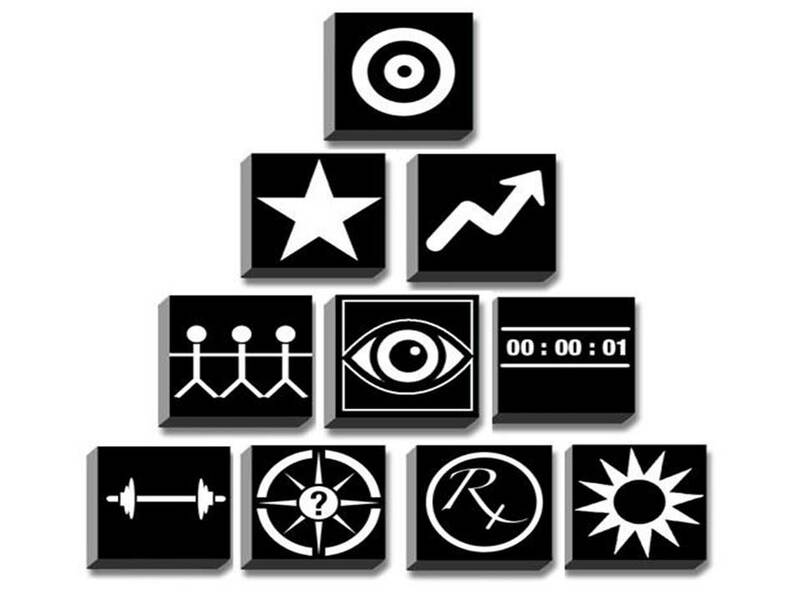 Partially as a tribute to the great UCLA’s basketball coach John Wooden’s pyramid of success and partially because the pyramid structure created a strong, almost intuitive, visual representation of the tactical and practical requirements of full engagement. It may be premature to declare this but I believe the pyramid of engagement may be my magnum opus, or it could be the manifestation of regression to when I was three years old and totally engaged in playing with wooden alphabet blocks. To find enlightenment be a lamp. A much wiser one than I, the Buddha, said “be a lamp unto yourself.” We must shine a light on own thinking and approaches. We can go around the globe in search of engagement and fail to realize that it resides in our own hands, head, and heart. Waggle while you work. My honeybees taught me to waggle. Waggles are their dance-like movements to communicate with their community about sources of pollen and even the location of a new home. I trust my thoughts will help others find and nourish their own engagement work. I place countless links in my tweets and updates on Facebook, Google+, LinkedIn and Twitter feeds. Think, pray, laugh. I have kept everything in perspective by following the Chinese beatitude: Blessed are those who can laugh at themselves, they shall never cease to be entertained. I also maintain my serenity with the modified serenity prayer I learned about 30 years ago: God grant me the laughter to see the past with perspective, face the future with hope, and celebrate today without taking myself too seriously. Thought leaders who laugh, last. Enjoy Assorted Zingers: Poems and Cartoons to Take a Bite Out of Work. Alfred Adler was a thought leader for psychological thinking. He didn’t follow Sigmund Freud’s path or someone else’s path, he created his own. Supposedly after presenting his latest theories and thinking on psychology in front of very large audiences he would conclude his presentation with this statement of heartfelt uncertainty, “things could also be quite otherwise.” As we journey forward in engagement towards 2020, let’s never forget that, things could also be quite otherwise. 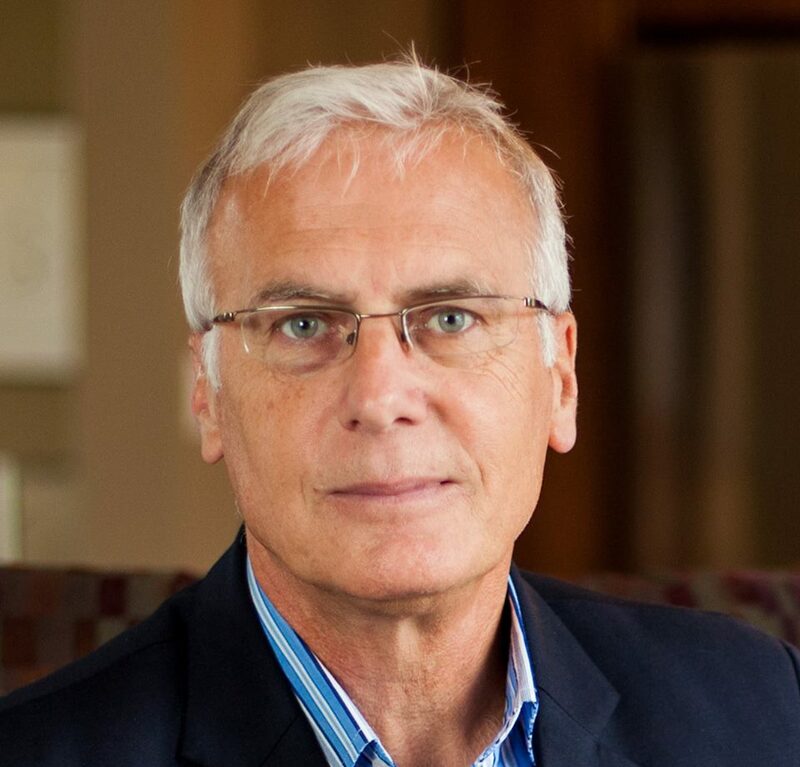 David Zinger has been led around by his thoughts on employee engagement for the past 7 years. He is an employee engagement speaker from the Canadian prairies who believes we must be on the same level with everyone else and that pyramids are for blocks not for people. Thank you Diane. It was a fusion of personal and thoughtful. Thank you so much for pointing me to your post. What I appreciate most is the way you weave themes about humility and openness into a topic that could be more arrogant or directive. You define being a thought leader as definitely not about being high and mighty and right. Rather, it’s about the openness to explore connections and contradictions; to have the capacity to reflect, enlarge, and challenge one’s own thinking. Really fine work, and it’s clear that you are there and have been there for some time! Thank you for your kind and generous comments. I like the way you captured the humility, openness, and contradictions. David I’ve been thinking, writing, talking and consulting about thought leadership for 8 years and I absolutely love your piece. One thing I can say is that the more I learn about this topic the more I realise I have to learn. I came into it ignorant, I’ve learned a bit and I have a whole lot more to learn. But what a fun journey it’s been and how much I enjoyed your 12 points. Thanks for the comment Craig. Ignorance is such a great place to being. Learned a lot about that from Richard Saul Wurman. I must say you are great speaker or guru of ‘engagement’ have read quite informative post of regarding this concern. Thank you Grace. All the best in all of your work. As I was told by a wise man: there is a thin red line between sanity and insanity and I am color blind. Wonderful post. To me good leaders know how to ask good questions, and then listen with both their eyes and ears. It’s easy to be so focused on getting your message out — or persuading others — that you don’t tune in to what you see and hear. Because you’re in a position of authority, the stakes are even higher because you won’t always get direct feedback. You need to read between the lines. Love the line about reading between the lines…so much goes on in the white space! Hmmm…After reading these secrets, thought I am supposed to be a leader 😀 just kidding, great article David! Having a clear vision, discipline, expertise, and belief is what I follow at this point of my life, not to be thought leader, but a great employee and professional. This article will complement my knowledge for sure! Thanks for the helpful tips! I like the point you can think on your own but you are never alone.